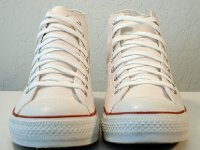 Photo gallery of core optical white high yop chucks. 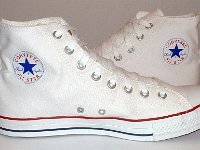 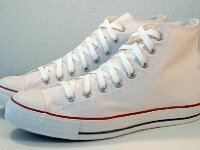 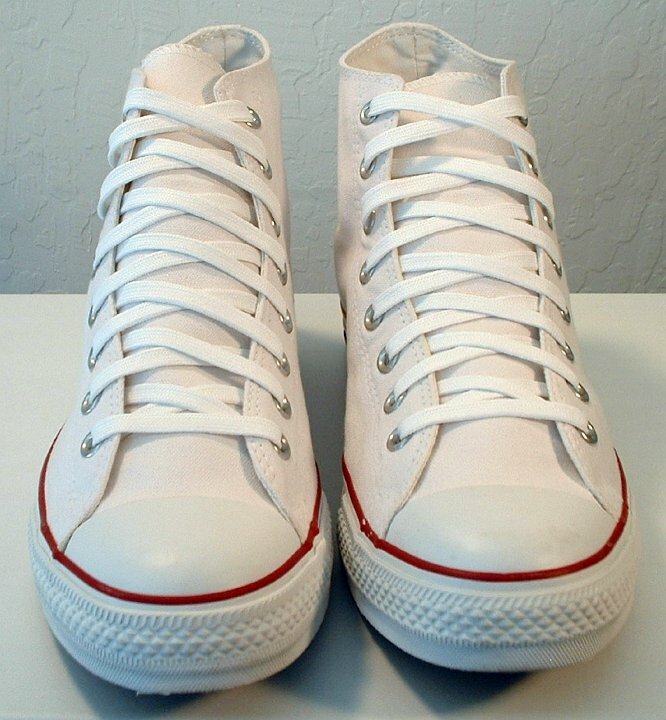 1 Core Optical White High Top Chucks Outside view of a left optical white high top. 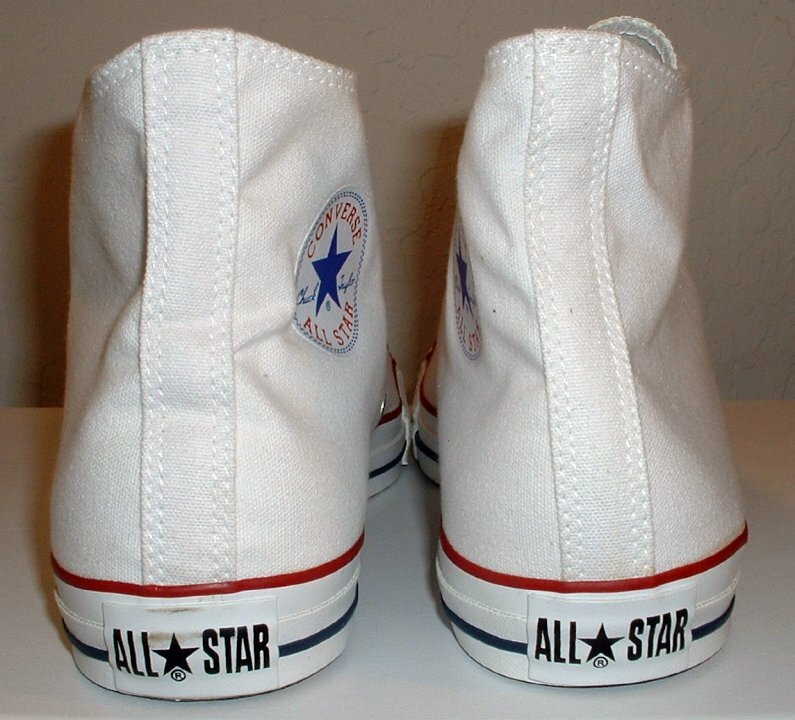 2 Core Optical White High Top Chucks Inside patch view of a left optical white high top. 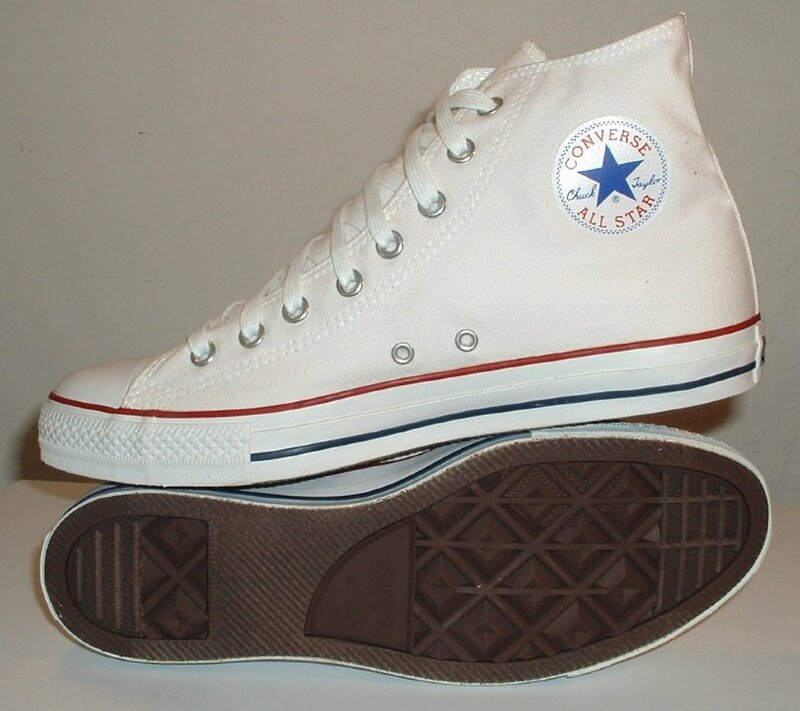 3 Core Optical White High Top Chucks Inside patch view of a right optical white high top. 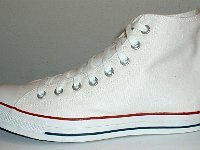 4 Core Optical White High Top Chucks Outside view of a right optical white high top. 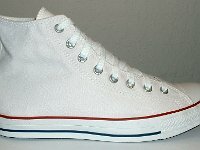 6 Core Optical White High Top Chucks Rear view of optical white high tops. 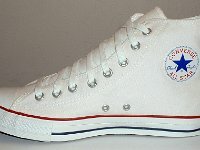 7 Core Optical White High Top Chucks Front view of optical white high tops. 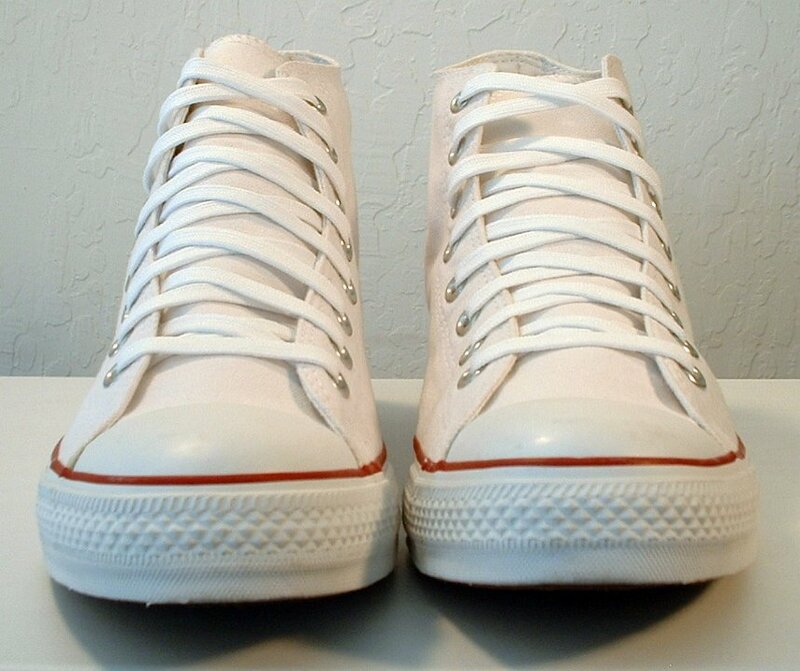 8 Core Optical White High Top Chucks Front and top view of a pair of optical white high tops. 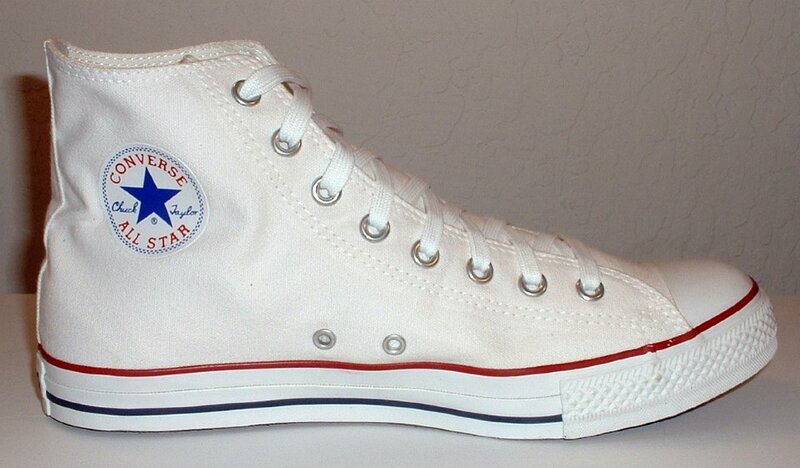 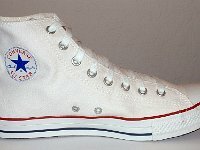 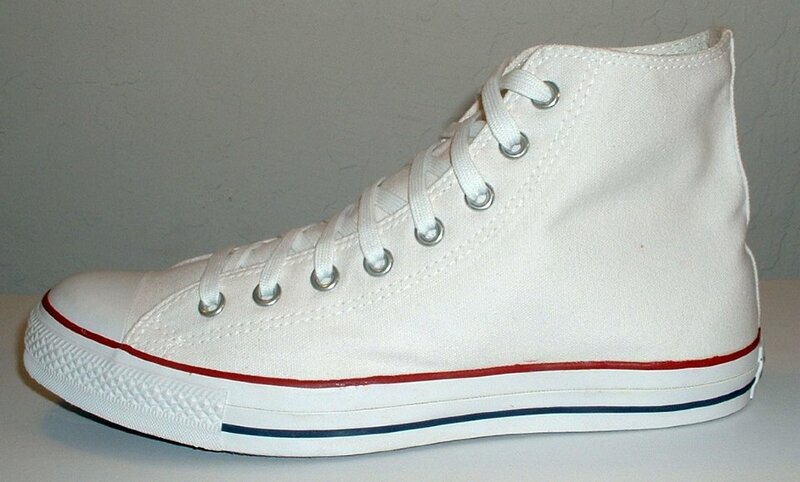 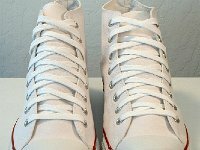 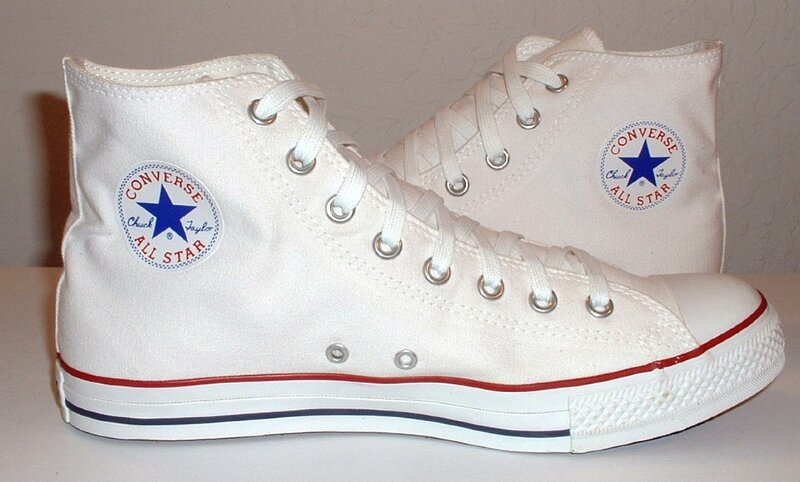 9 Core Optical White High Top Chucks Inside patch views of optical white high top chucks. 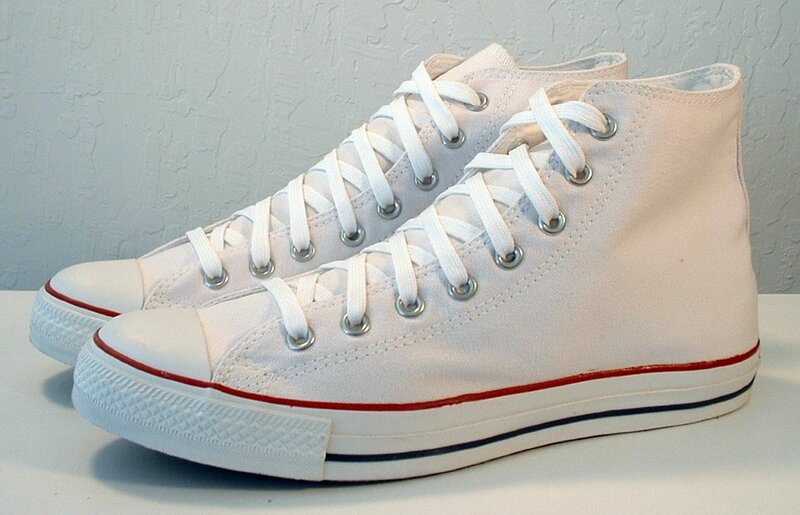 10 Core Optical White High Top Chucks Angled front view of optical white high tops. 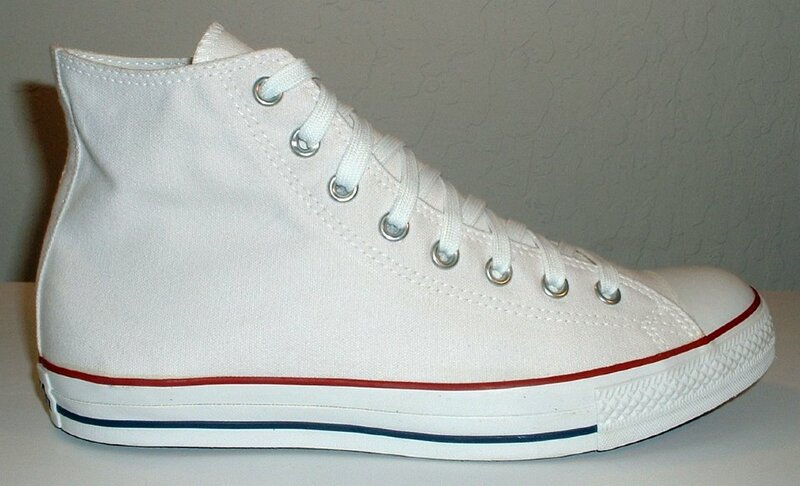 11 Core Optical White High Top Chucks Angled side view of optical white high tops. 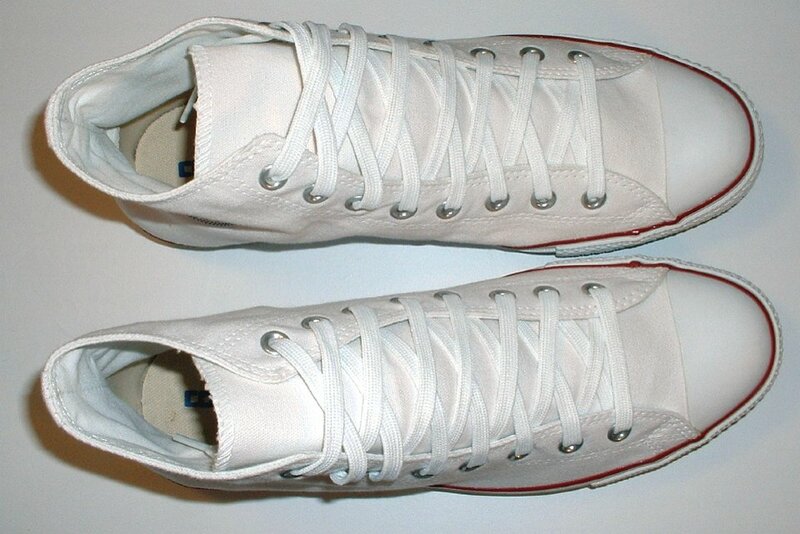 12 Core Optical White High Top Chucks Inside patch and sole view of optical white high tops. 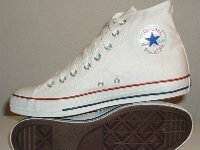 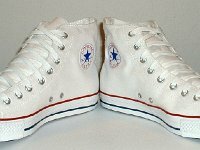 The distinctive red, white, and blue high top Chuck Taylor All Star basketball shoe was first introduced at the 1936 Olympics. 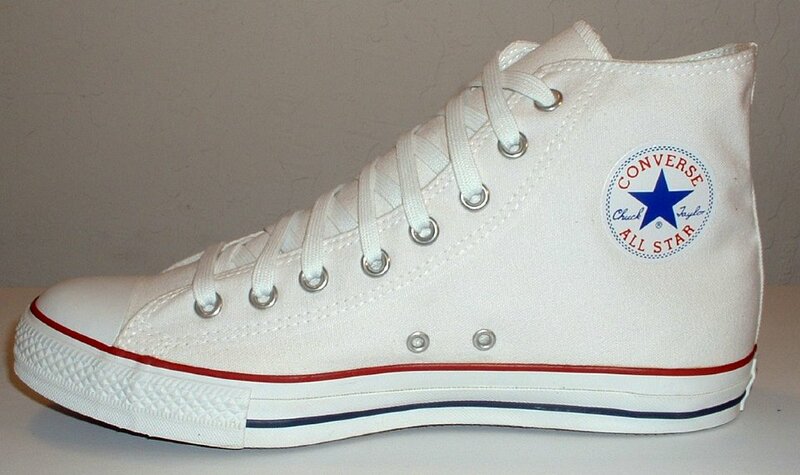 The shoes were designed by Chuck Taylor. 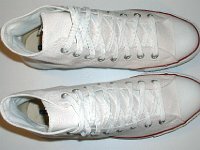 Later the white dying process was improved and the main color of the shoes was called optical white.